A little over two years ago, I discovered the charm and allure of the silverball and all things wonderful under the glass. I have been hooked ever since thanks an outstanding community of pinball players here in Ohio and grateful to all who I have met along the way. Especially those who have been generous enough to let me play pinball in the coolest of public locations and in their homes. In addition, I have been fortunate enough to visit several Ohio, Pennsylvania, Michigan, and Chicago arcades and pin locations, events and expos. Through this I have had great opportunities to capture and play some of the rarest machines out there for both pins and arcades along the way. While enjoying documenting outstanding players enjoying the games. This has only helped fuel my passion for this stellar hobby I immensely enjoy and constantly re-exploring to this day. Which brings me to my new photography directions that have been taking shape these past few years. 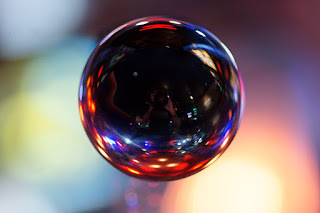 So here is the first of this new ongoing series that focuses on the silverball itself and the realms of light these games can reflect to the player. Special thanks to John Geiger at Arcade Super Awesome & Ed Beeler at PA Pins!